I'm stopping in real quick this morning to share two more crafts I created for the upcoming craft fair, painted mason jars and weathered wood boxes. 1. Glue the two pieces of your lids together then spray with ORB spray paint. 2. 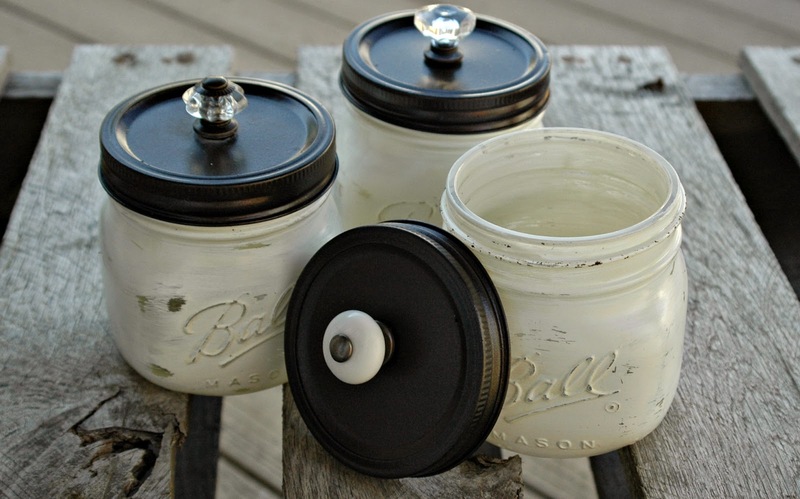 Paint mason jars with chalk paint, sand and seal with polycrylic. 3. Glue on curio knobs. I love how they turned out and think they would be perfect for storing little craft or office supplies. 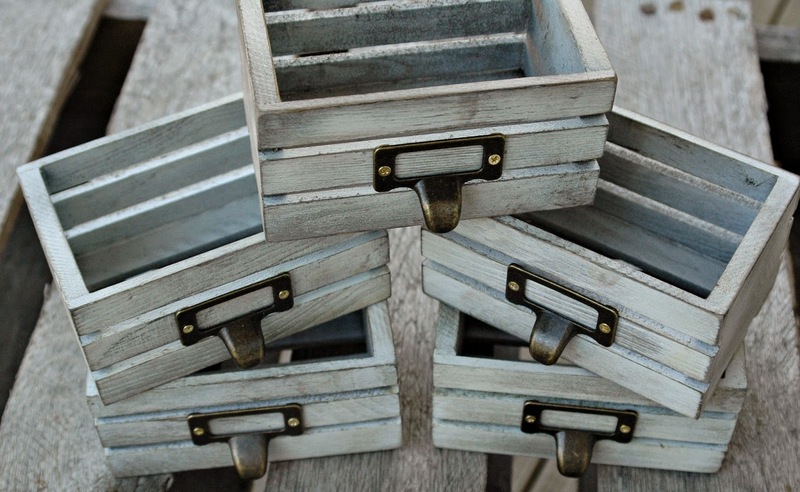 These adorable weathered wood boxes are one of my favorites. 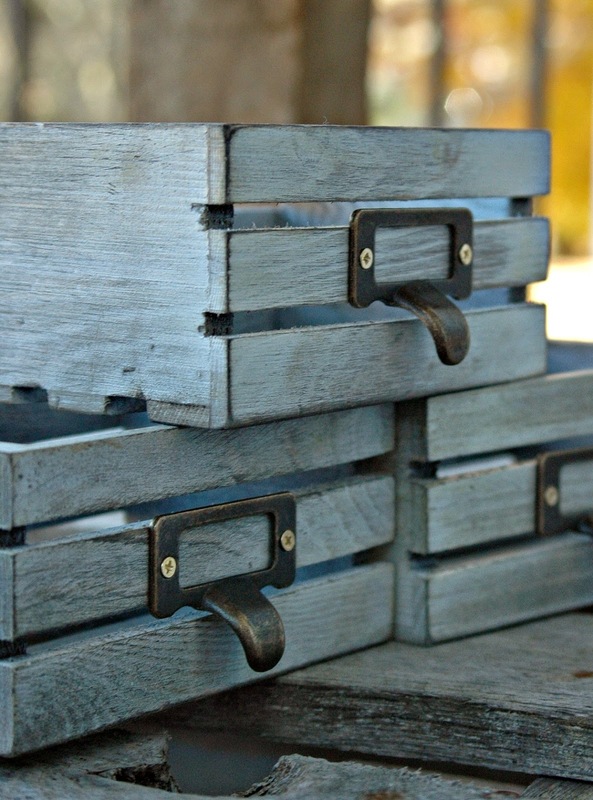 I purchased unfinished wood boxes at Michaels then weathered them by first coating each one in dark stain then a good coat of white spray paint. After they were dry I sanded the heck out of them and added my favorite metal label holders. I have to say, the hardest part of doing craft fairs is pricing! You definitely don't get paid for your time and have to consider what you would pay for the item. With that being said, I'll be selling the mason jars for $6.00 a piece and the distressed wood boxes for $5.00. That is such a cool idea to put the knobs on the tops. I've never seen that! and I love the crates. These are sooo cute Katie! I want both of them!!! I can imagine filling those boxes with so many differnt things! Oh Katie, I SO wish I could do some shopping at your table!!! LOVE them both! These are so cute!! I love the rustic look!! Oh how I love both pieces, the jars are so pretty! 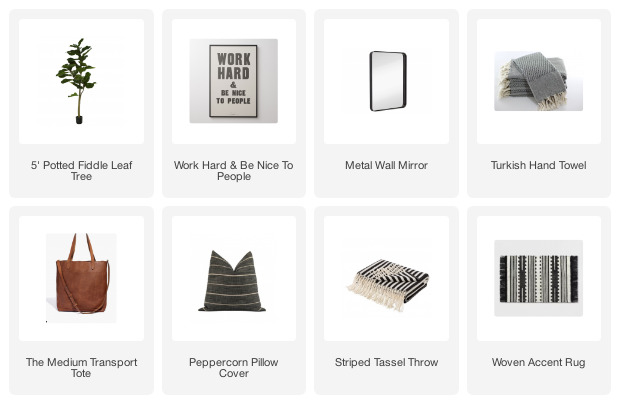 Your table should be a very popular stop for everyone shopping! Both of these projects are great! 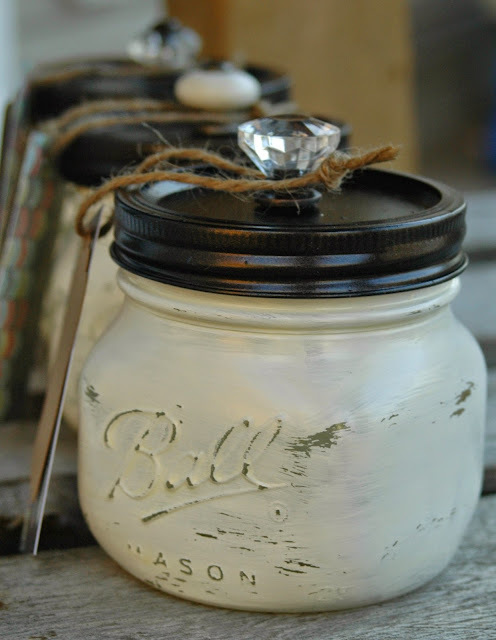 I love any project involving mason jars, so those are right up my alley. Thanks for joining us for Motivational Monday! The projects are great!!! I absolutely love the jars. 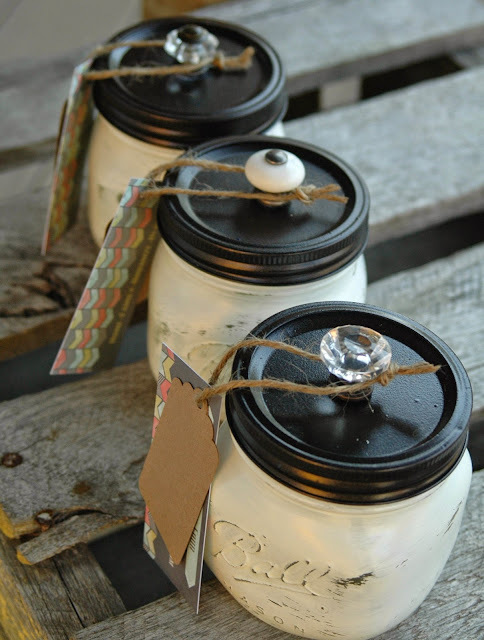 Hi - I love your jars! Can you tell me what size they are? I went shopping today, and I didn't see that size. Take care! 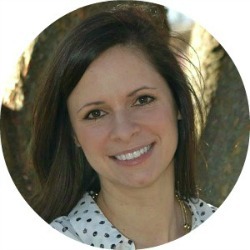 Hi Suzanne! I'm not sure of the exact size, but I was able to find them in a pack of four at the grocery store. I hope that helps! Thanks for the quick reply - I'll have to look around! Would you mind sharing the approximate size of the crates? And did you get the cute little label holders at Michael's also? I love both of your projects. They are adorable! And at those prices, you definitely don't get paid for your time and elbow grease. LOL. Thank you for the inspiration you've given me by sharing. Blessings! 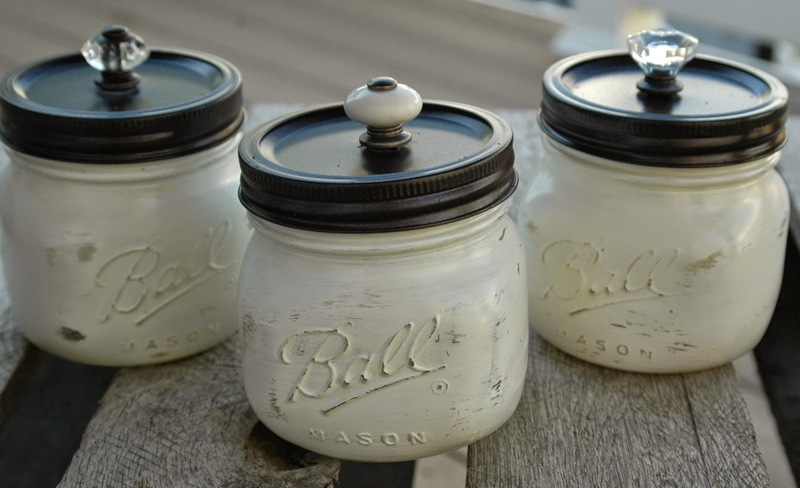 What kind of paint did you use on the jars? Did you spray it on or paint it on? they are so cute I want to try them myself! Both of these projects are super cute!! 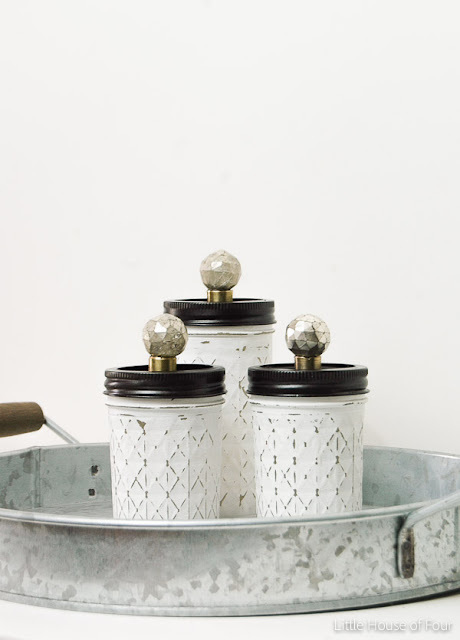 Does the chalk paint have to be white? Corrina, you can use any color of chalk paint. They are lovely done in every color. She meant white chalk paint is what she used. The process would be the same with any color. I would like to know what kind of chalk paint, dark stain, wax, and dust you recommend. Thank you. Can you substitute clear acrylic for polycrylic?